If you were hoping that the upcoming Escobar would be your chance to revel in a slice-of-life romance starring real beautiful married couple Javier Bardem and Penélope Cruz, then clearly you’ve confused a biopic about a notorious drug kingpin for a strange Vicky Cristina Barcelona sequel. And since Escobar will be depicting the rise of perhaps the world’s most successful gangster, Pablo Escobar (Javier Bardem), the bad guy’s fall is inevitable. 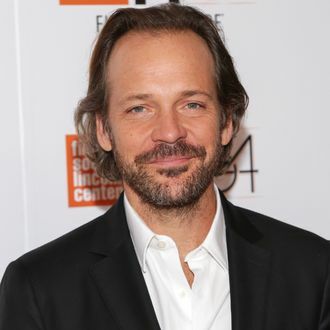 Enter Peter Sarsgaard, who, according to Variety, will be playing the film’s DEA agent following the Colombian crime lord’s bloody trail. Cruz is set to play Escobar’s mistress, Virginia Vallejo, who once wrote a memoir about their romance Loving Pablo, Hating Escobar. Considering the quality of the cast, lets hope this movie goes better for Bardem then it went for Vinny Chase.